« Federico Aubele Afterparty @ FEx Featuring DJ Sound Culture and friends! 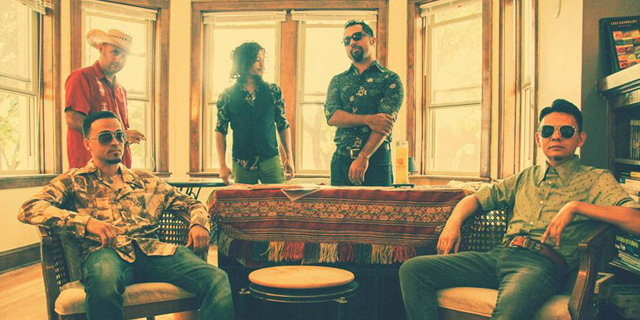 Dos Santos Anti-Beat Orquesta rocks the sounds of pan-Latin American cumbia. Their gritty, grassroots approach captures the “golden age” of streamlined, tight-knit ensembles that shook sweatbox dance floors with raw and fierce energy throughout Latin America in the 1970s—honest dance music with no frills and no fear, anchored by piercing guitars, garage organs, and straight-ahead percussive might. Atropolis = 100% original material from a city who has pioneered the tropical/global bass/world music 2.0 sound with Dutty Artz Brooklyn party series, where they showed the world that the crazy mash of cultures in NYC had evolved a counterpart for the cosmopolitan dancefloor, where the crowd was as mixed-up as the music. Adam ‘Atropolis’ Patridge was born and raised in Queens, New York, one of the most diverse places in America. By age 16 Adam was deep into sounds from Mali, Nigeria, the Balkans, the Caribbean, and South America and living in the meltingpot meant that all those musical communities were nearby. Years later, Patridge has created a fresh-to-death amalgamation of nueva cumbia, dubstep, moombahton, Afro-Colombian house, and kuduro, catching the ears of studied future world music professionals, Dutty Artz label heads Jace “DJ/Rupture” Clayton and Matt Shadetek. Thornato’s experience as a multiple-instrumentalist shines through in his versatile music expression. He’s just as likely to crank out a slamming Dancehall tune; as he is to produce a deep trance-inducing shamanic track of African origin. There are no boundaries when it comes to Thor’s cadre of sonic inspiration. His remixes, mash-ups, and original productions contain the grounded roots of indigenous music with cutting-edge electronic production.